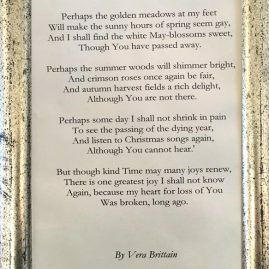 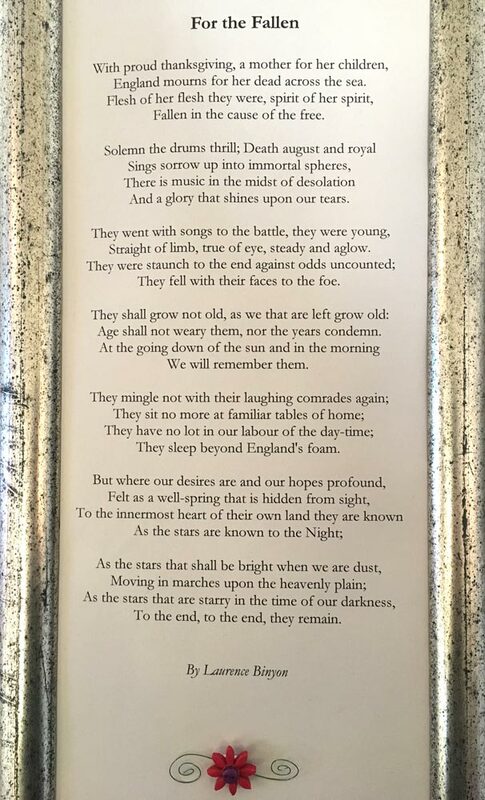 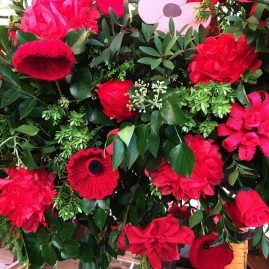 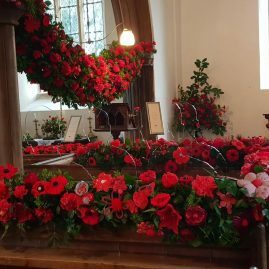 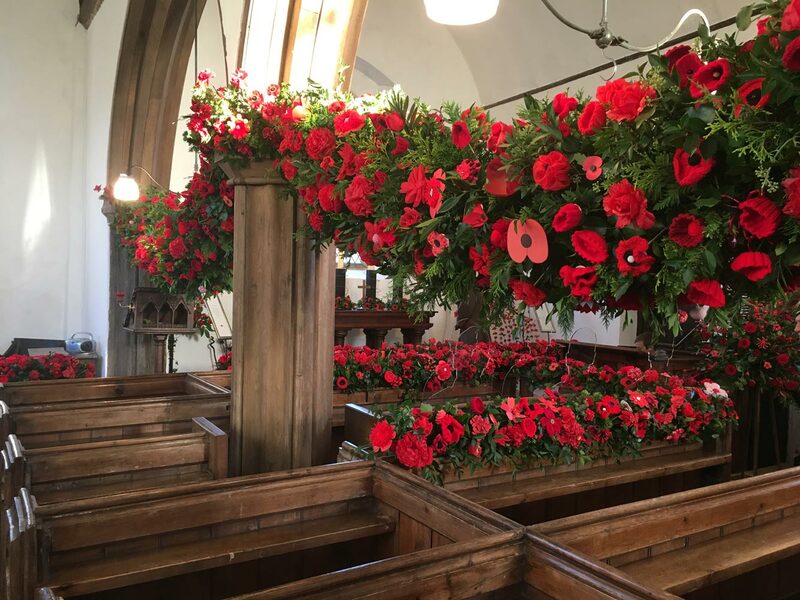 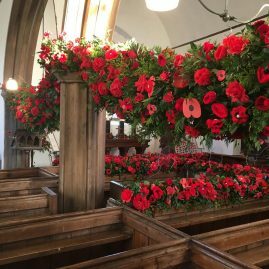 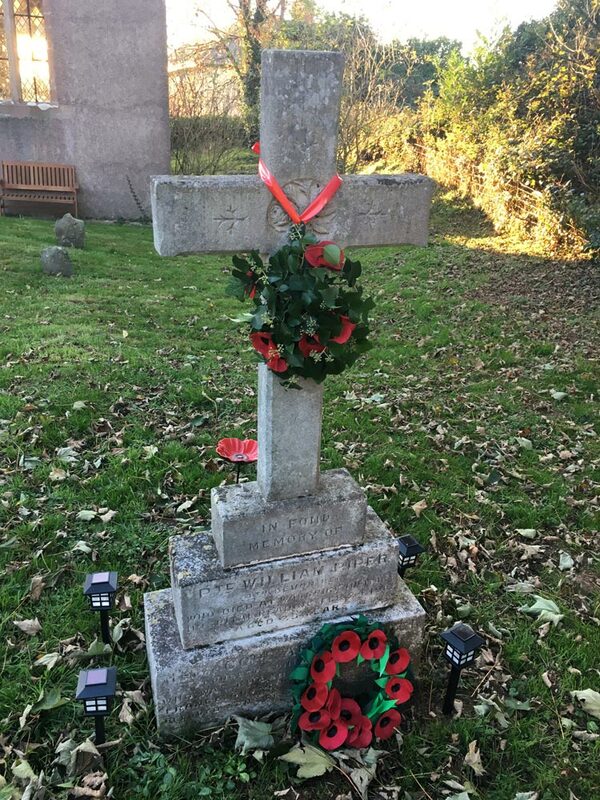 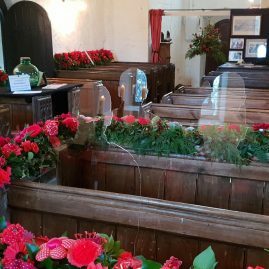 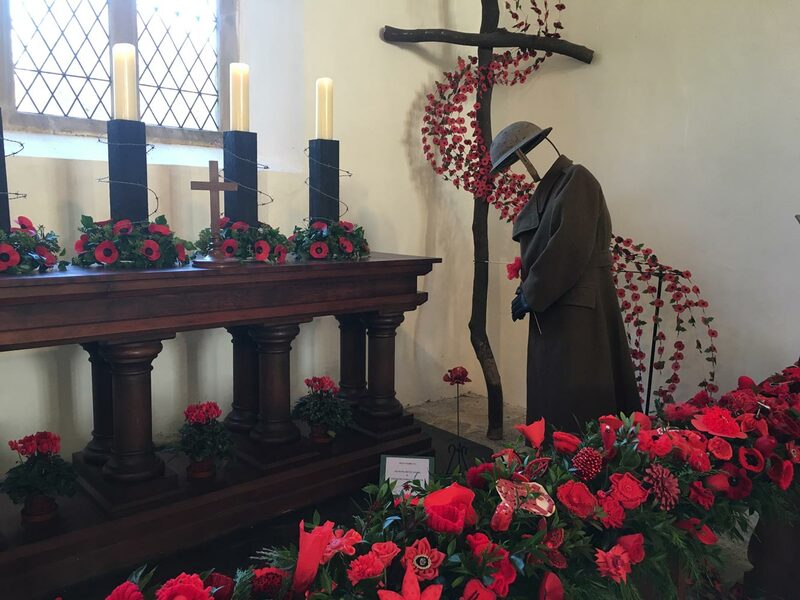 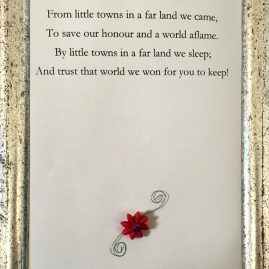 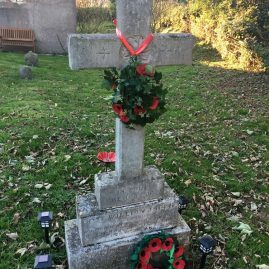 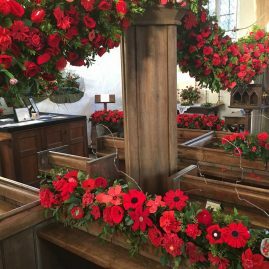 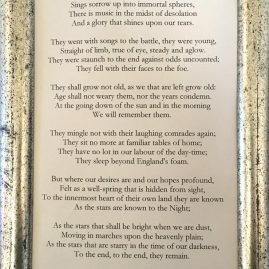 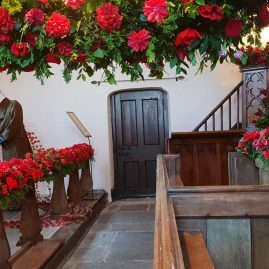 To commemorate 100 years since the end of World War 1, St Peter’s Church, Dowland, near Winkleigh, will be taking part in the ‘There but not There’ national project, by creating a twelve metre long flower garland and other floral arrangements including a ‘poppy wave’ using only red flowers. 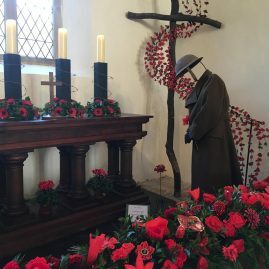 This unique display, using only one colour, will provide a powerful reminder of how important the lives of those who did not return are to us today. 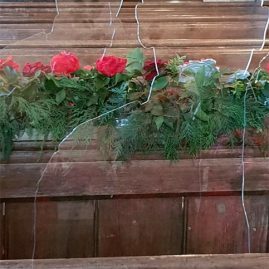 The garland will span the length of the Church, encircling pews containing the silhouette figures of our soldiers, representing how we will continue to remember the young members from our village who lived and died over a century ago. 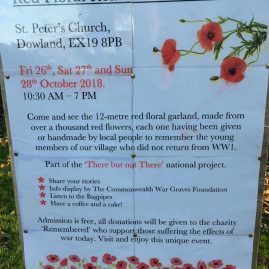 The idea was to create an event where anyone of any age could take part. 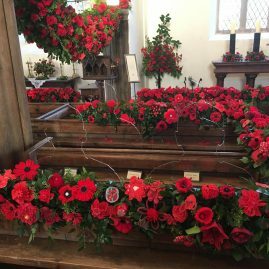 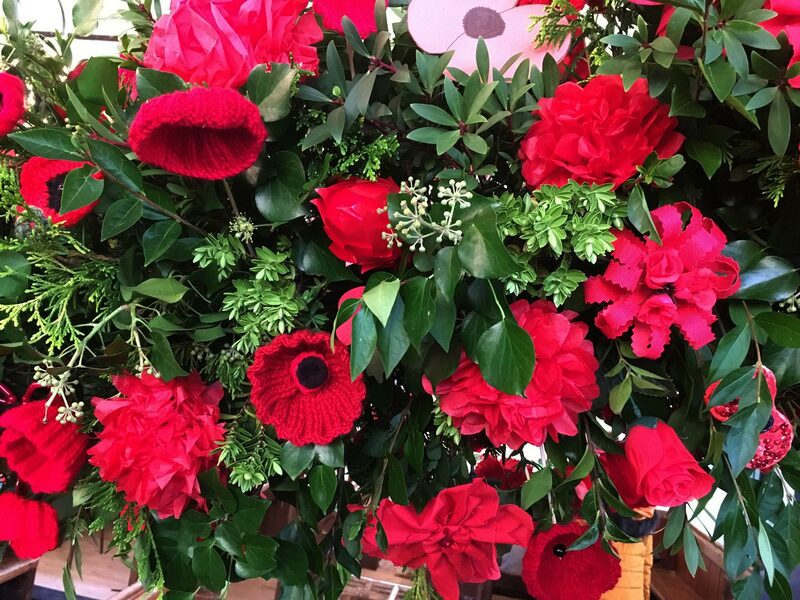 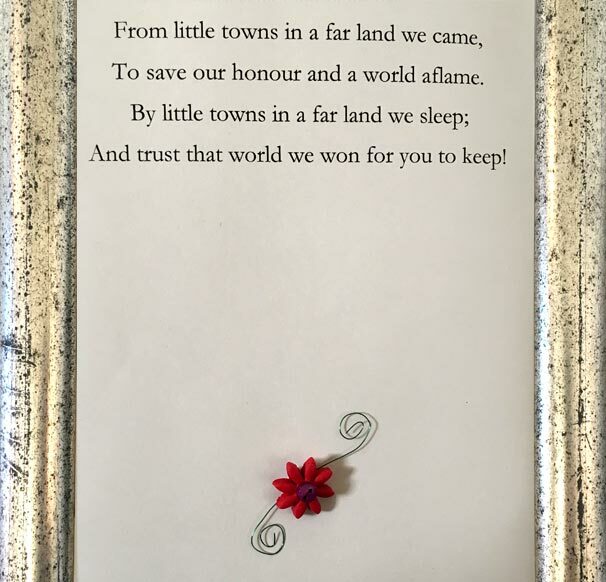 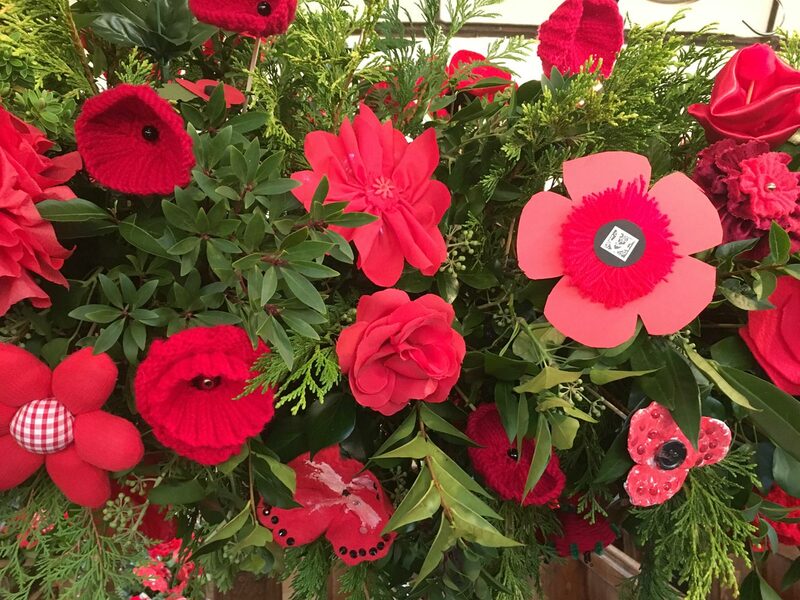 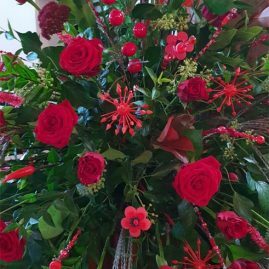 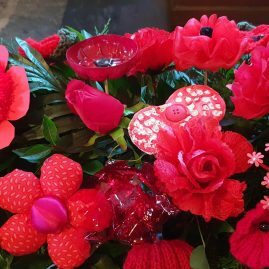 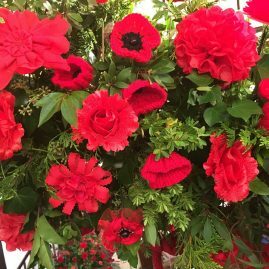 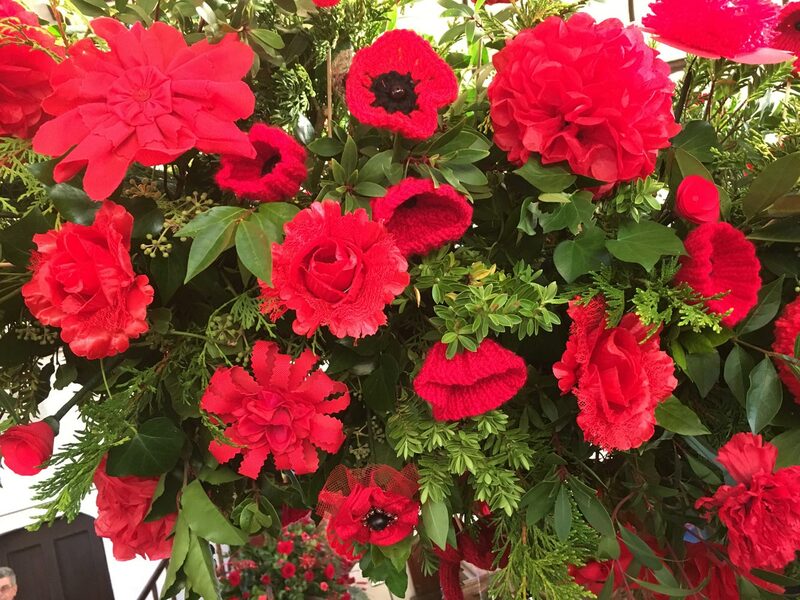 Hundreds of people including Children from Winkleigh and Dolton Primary Schools, the Taw Valley Quilters, the ‘Over 60’s club and many individuals from villages all over mid Devon have been making red flowers which are incorporated within the garland. 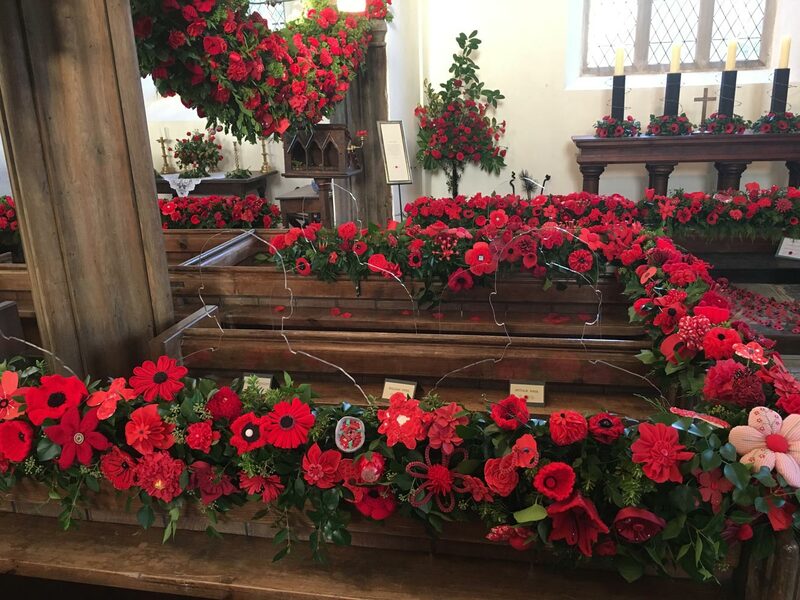 The flowers are all handmade from paper, ribbon, fabric, clay, wool and plastic, literally anything. 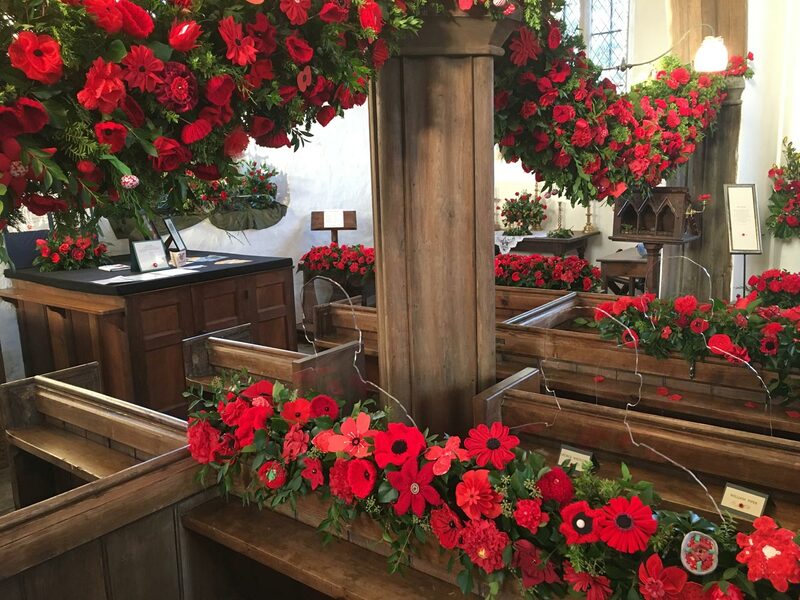 The garland is made from over 1500 flowers, all donated in remembrance of others. 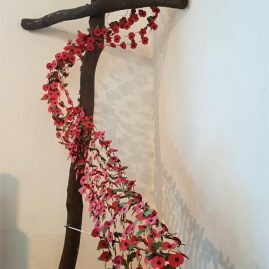 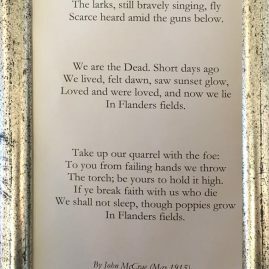 By joining all the flowers together we will, as a community, create a powerful symbol of remembrance as the garland surrounds figures of our soldiers who made the ultimate sacrifice. 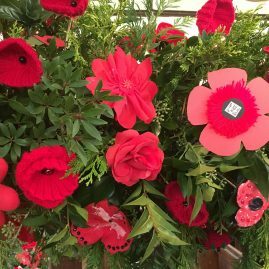 The event is open over 3 days, Friday 26th, Saturday 27th and Sunday 28th October, from 10.30am until 7.00pm each day. 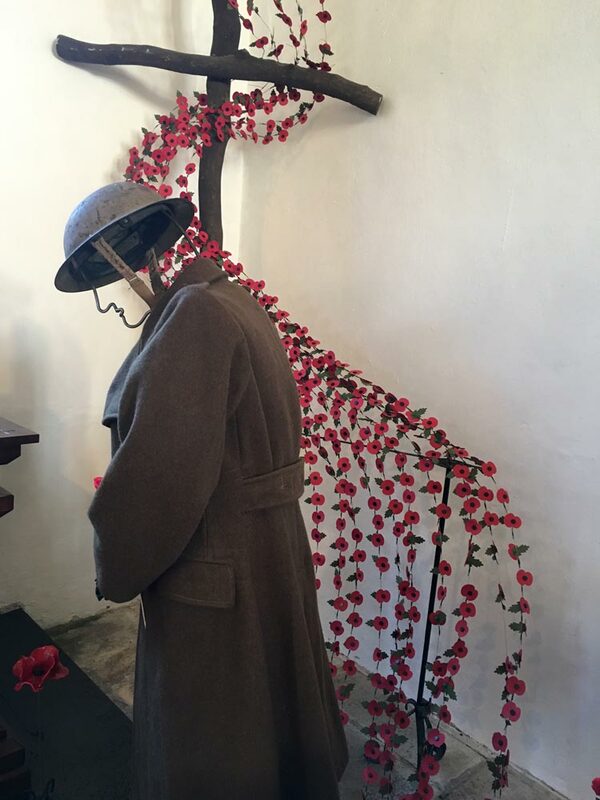 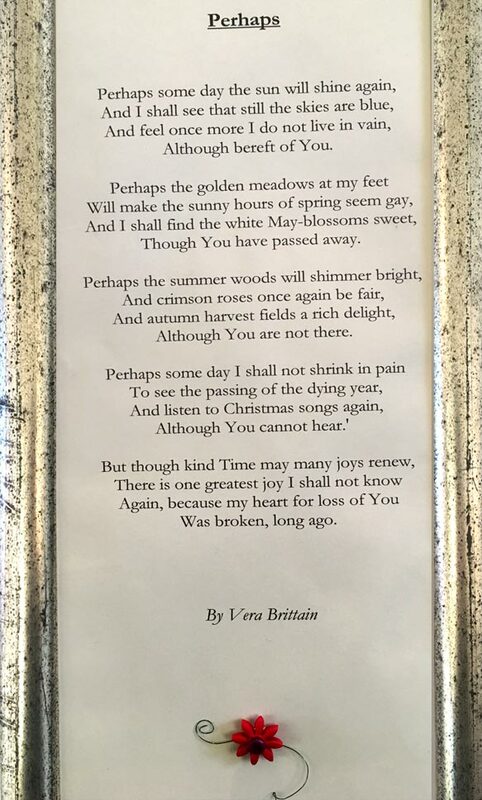 It is free to enter and there will be the opportunity for visitors to make a donation to the charity ‘Remembered’, with 100% of the money raised, donated to the charity which helps those who are suffering the effects of war today. 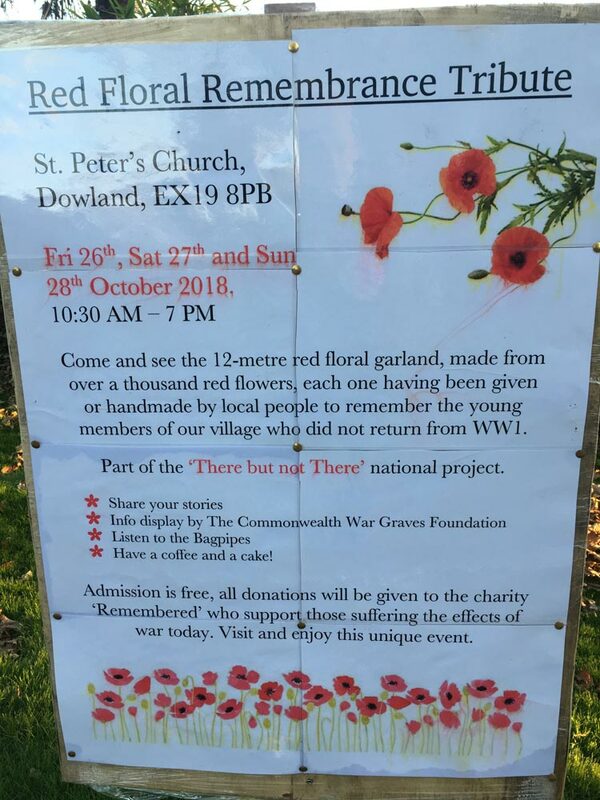 Several veterans will be attending, and if you have any family stories of the war that you would share, please, please come, enabling your knowledge to be passed onto others. 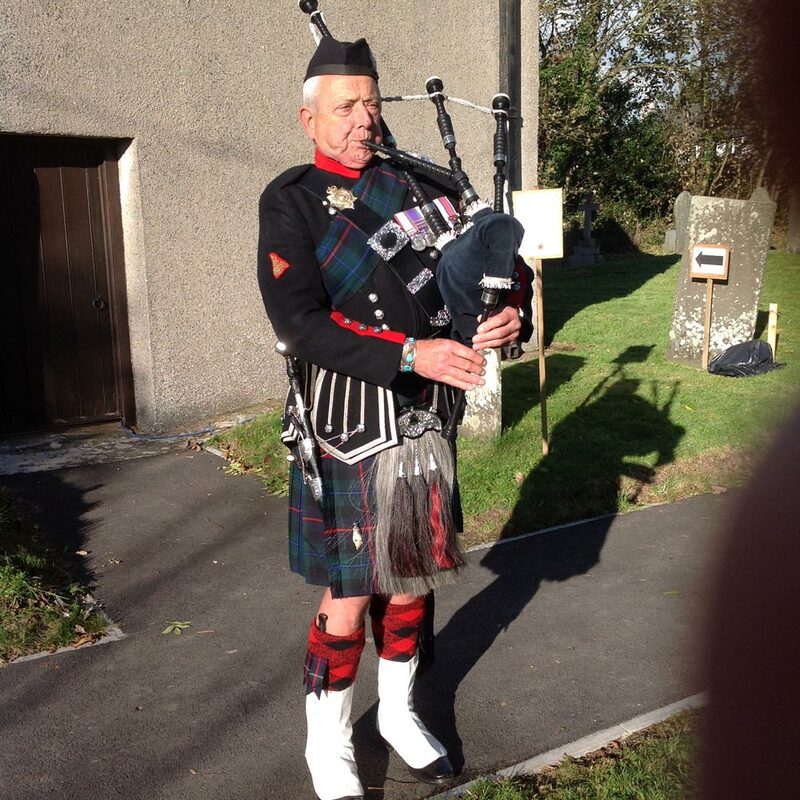 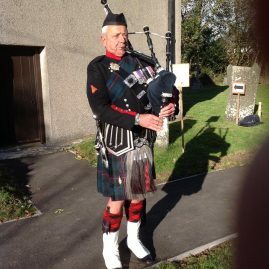 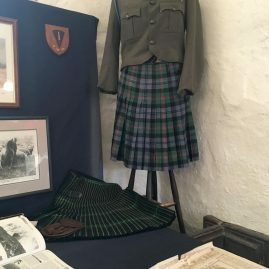 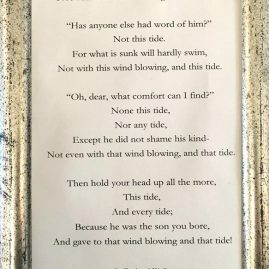 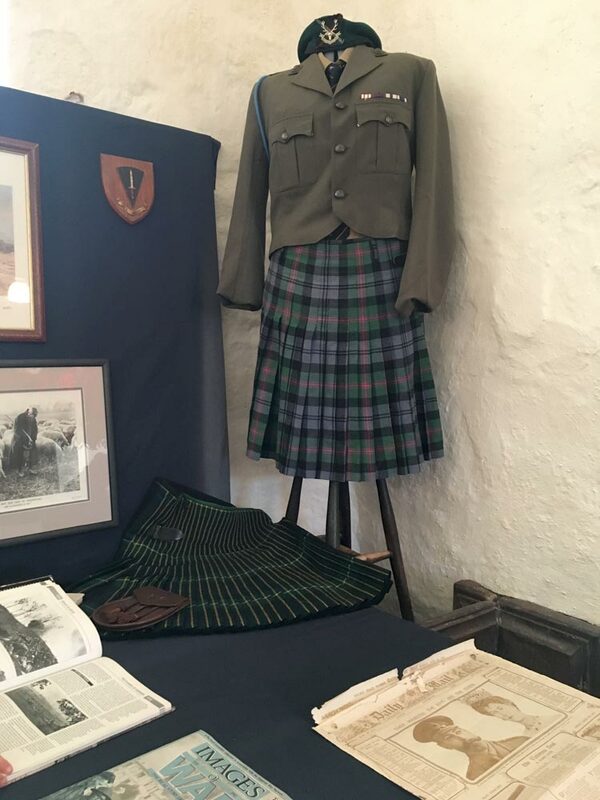 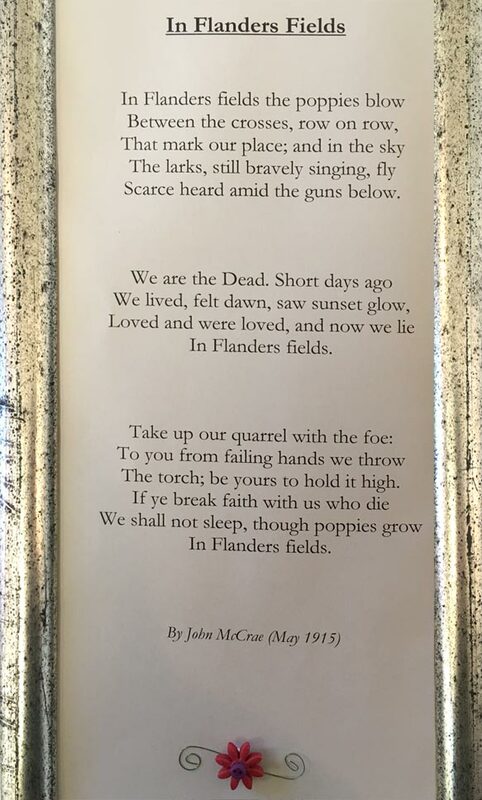 The bagpipes will be played on Saturday afternoon and Sunday morning by our Piper and visitors will be encouraged to stay and enjoy the poignant atmosphere, where they will have the opportunity to pass on, or gain knowledge from others, or simply sit quietly and remember. 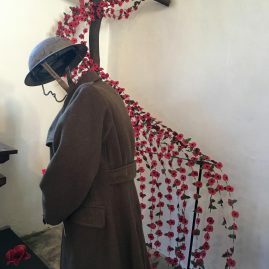 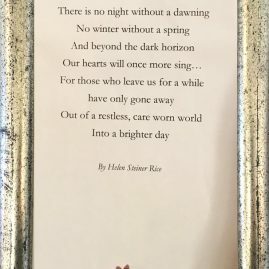 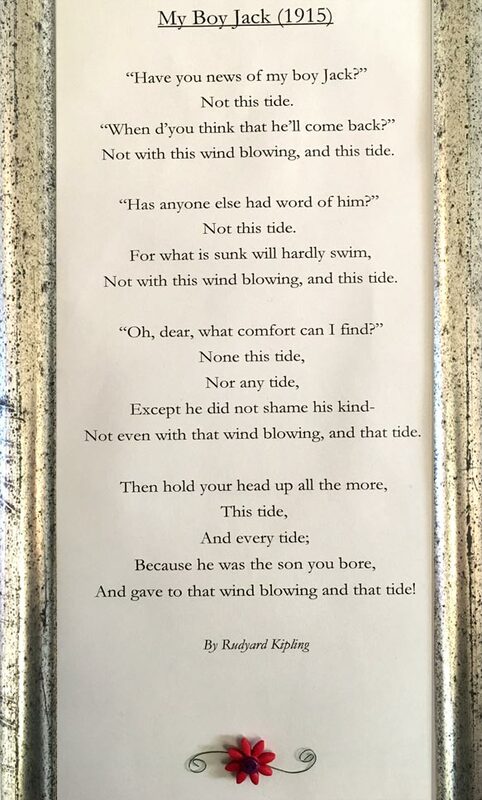 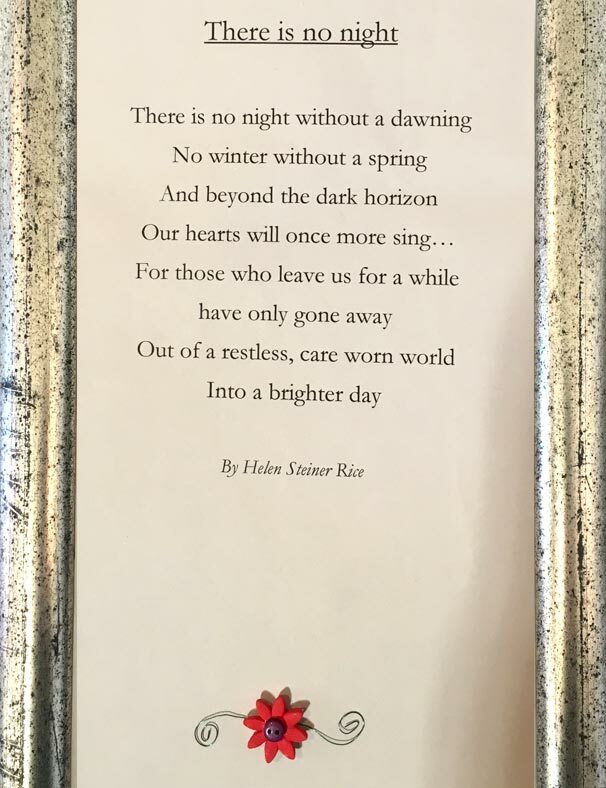 The message of commemorate, educate and heal, will be our overriding goal, and through providing a reflective and informative event, we feel we can all pay our respects to our loved ones that did not return.